Yess the WM-23 is quite a stunner. Added also relevant references to in-game aircraft in gray. Edited by J311yfish, 13 January 2019 - 12:56 AM. Any chance of getting indications of the nation? Are you proposing individual lines per nation or mixed nation lines for a full multi-line tree? Yes, that is planned. Still in early stages here. The latter, to account for aircraft development that continues across geopolitical boundaries. Anyway it is a work in progress without the usual constraints so we'll see what happens. Edited by J311yfish, 13 January 2019 - 07:27 AM. Fokker G.1 (heavy fighter) and T.V (bomber) ... ? Also, it could be argued that post-war French jets are multi-national -- but rather than revisit that anytime soon, I'm going to leave that for another day. Edited by J311yfish, 19 January 2019 - 03:23 PM. 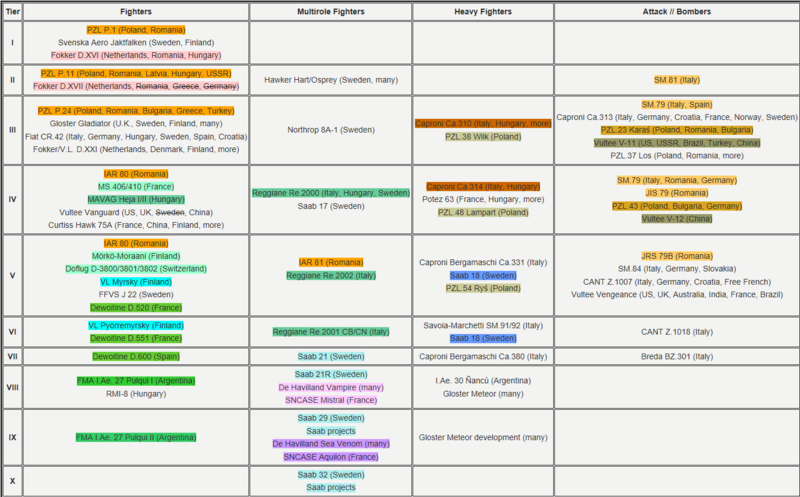 The World of Warplanes development plans for 2019 are a hot topic, because we've been a bit vague about them. It's time for more details. Let's get to it. This year, World of Warplanes can expect both new content (aircraft) and new features that expand the gameplay. This year is dedicated to the bomber class that our players have been waiting a long time for and finally saw in the game. We've already added some aircraft lines to the U.S.S.R., Germany, and U.S. Tech Trees, which will be completed in future updates. The German Junkers and Soviet Tupolev will make their entrance within the Spring campaign consisting of two events. The Blade of Vengeance event that was held recently brought with it the top bombers from Germany, while the Red Comet event due in May will counter with interesting U.S.S.R. models. These new warbirds are sort of black swans among bombers as they are much more maneuverable than their counterparts from other nations and carry forward-firing weapons. Following the German and U.S.S.R. heavies, by the end of 2019 you can expect to see the most peculiar bombers made in the U.S. The first of them is the Boeing B-29 Superfortress, the pinnacle of the "super fortress" design that appeared during World War II and was successfully developed for years. We aren't disclosing the two top models yet. Suffice it to say that they are not your regular aircraft, although they indeed existed and flew in real life. We believe the aviation history enthusiasts will easily guess what we're talking about. 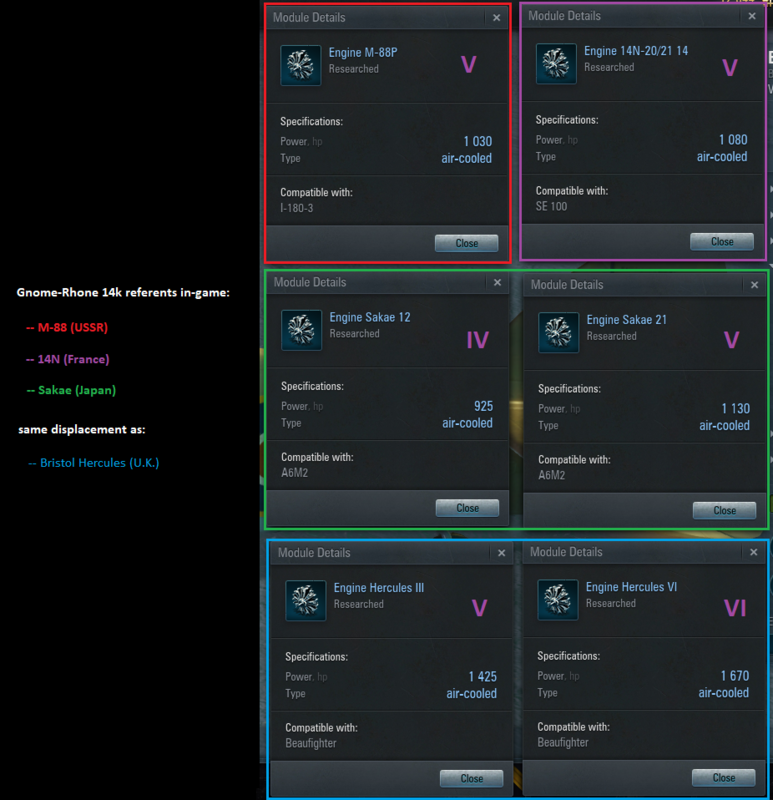 Last but not least, the "small nation" arsenal will also be expanded. Currently, we only have France and China, but that's going to change. We'll add a few more war machines that were produced in several European countries at different times. Among them are Poland's P-38 Wilk, the Czechoslovakian Avia B-534 and S-199 ВВС, as well as the twin-fin Saab J-21R from snowy Sweden. The existing and new "small nation" aircraft will be joined into one nation in the game client. The new machines will be added to the game one after another. This summer, we are launching a new marathon where you will be able to fight for yet another German aircraft industry miracle from the last stage of World War II — the Horten Ho 229. One of the few "snipers" in the game, this aircraft is guaranteed to be loved by experienced players. The referral program will be launched. Players who invite newcomers to the game and help them learn the ropes will get rewards. The better the recruit plays, the higher their "mentor's" reward. The main prize for actively recruiting new pilots is going to be the extremely rare and extremely powerful North American P-82 B Twin Mustang. Mid-year, we are planning to add daily rewards for logging in and completing simple missions. Each day of the week, there will be a more valuable prize, so if you play daily throughout the week, you'll be able to get quite a bounty. We haven't forgotten about the PvP mode we promised to the game veterans. The development of this mode is in full swing now. Expect to be able to utilize all of your piloting and firing skills without having to divert your attention to bots or ground objects. Mercenaries a.k.a. Legionaries Currently, this feature is in development and it's too soon to share any details about it. In short, there will be pilots or vehicles that will be able to either change their nation or even possess unique characteristics. Specialists-2 Just like we announced earlier, the alternative configurations for several of the most celebrated aircraft of World War II will make their way into the game. Unlike the existing Specialist configurations, which are essentially top module sets with the maximum number of equipment slots, the Specialist-2 configurations will be quite different from the stock ones in modules. This is going to change the gameplay significantly for such aircraft. For example, a quick and maneuverable light aircraft can become a heavily armed fighter for securing air corridors or even a bomber interceptor. Players can also expect new in-game and partner activities. To mention a few, we plan to continue the collaboration with Iron Maiden and Bruce Dickinson, and are currently negotiating a new video series in which Bruce will talk about Soviet aircraft. Meanwhile, Eddie will make some noise in the skies of World of Warplanes again as a gunner of the Bristol Beaufighter, inspired by Iron Maiden's hit song, "Tailgunner". A lot of exciting things await! Start your engines!